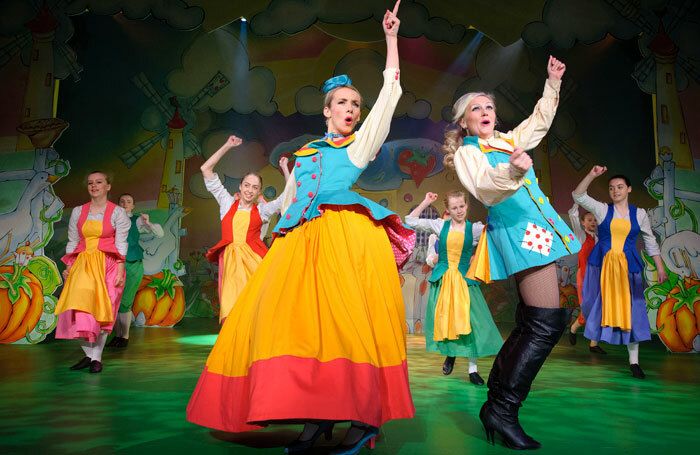 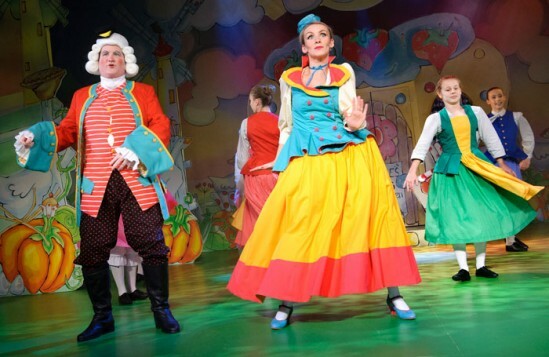 For serious pantomime spotters, the sound of the first ‘behind you’ of the season must be the theatrical equivalent of birdwatchers hearing the first cuckoo of spring. 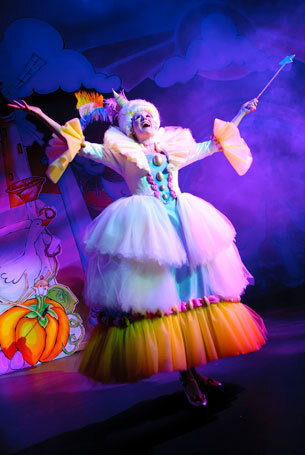 Fortunately, as one of the first shows to open this year, Coliseum artistic director Kevin Shaw’s fast-moving production includes an easily recognisable full-throttle shout from the stalls during a rehashed version of the old-as-the-hills ghost gag, which is one of many clever reworkings of panto routines and rituals in a show that’s overflowing, almost to excess, with warm-hearted Yuletide cheer. 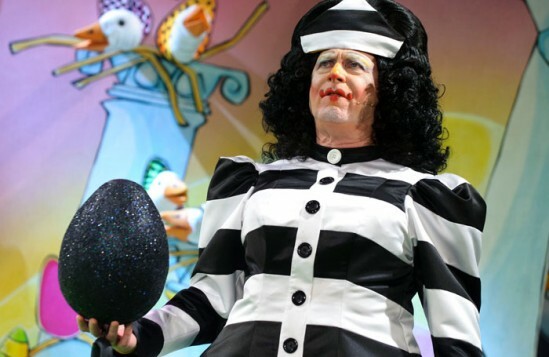 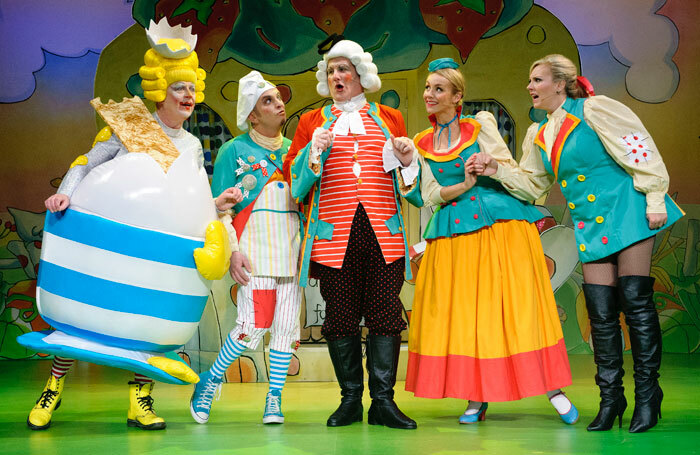 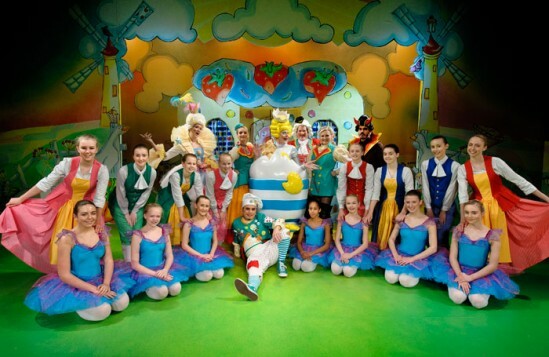 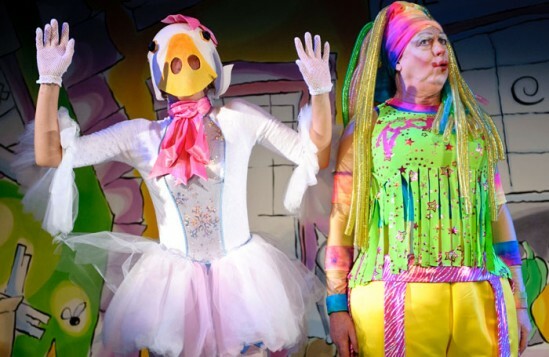 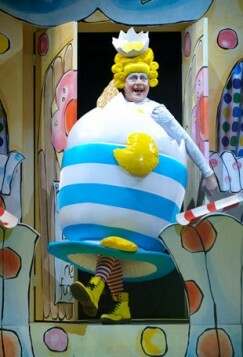 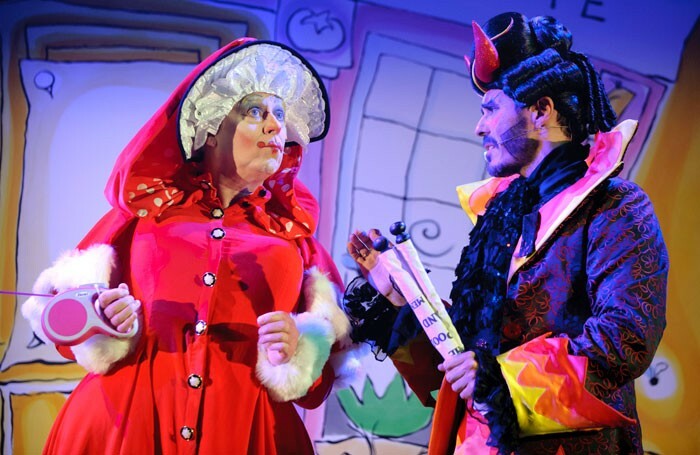 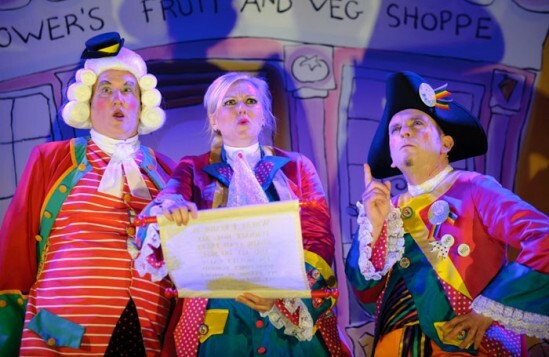 The script, co-written by Shaw and Fine Time Fontayne, who also holds the show together as the titular dame, is reassuringly traditional, retaining all the elements of the timeless story of poor but plain Mother Goose discovering that a magical clutch of golden eggs can’t bring happiness, yet with some timely modern twists that give ancient jokes a new gloss. 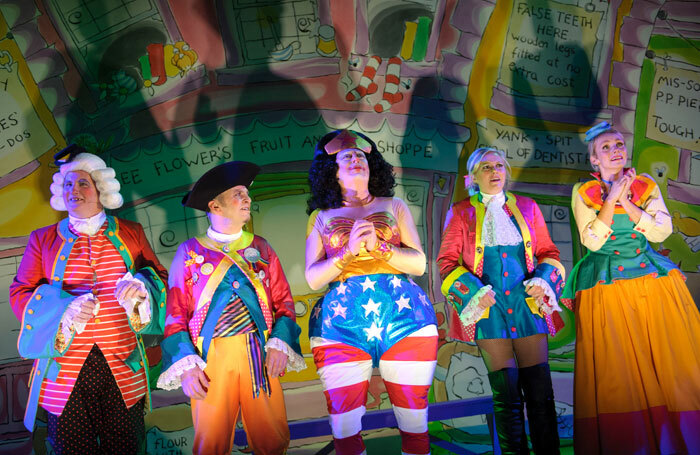 There’s also a surprisingly funky song list integrated within the plot, ranging from the Jackson Five and Defying Gravity to a rattling new patter number incorporating the names of every station on Manchester’s tram network. 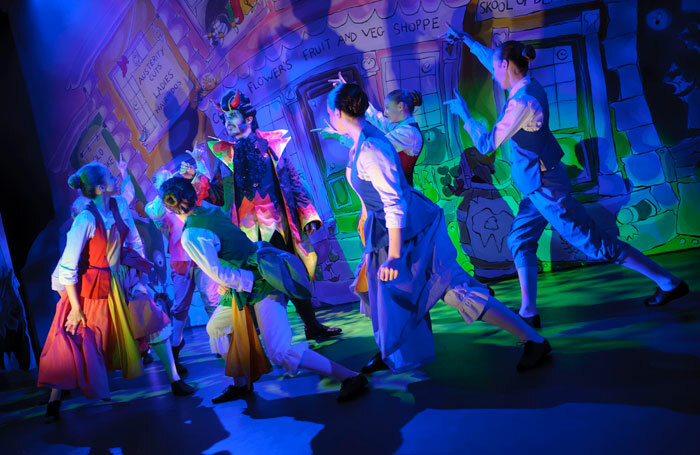 It’s all performed with lots of luminescent verve on bright and breezy sets. 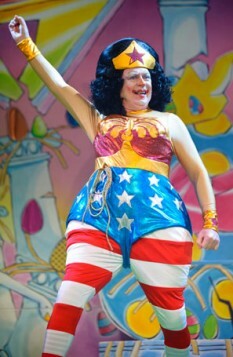 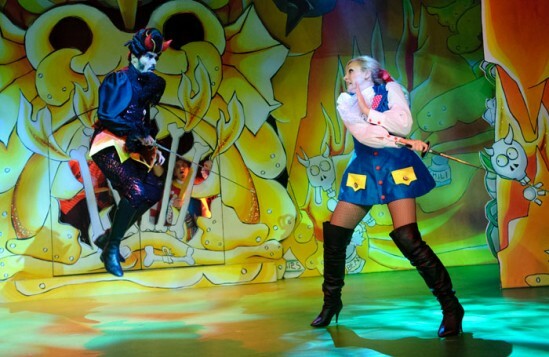 The costumes and wigs are intensely colourful too, reflecting the overall storybook quality of the production. 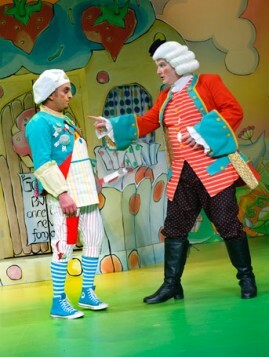 But the comedy slips up badly in a messy slapstick scene. 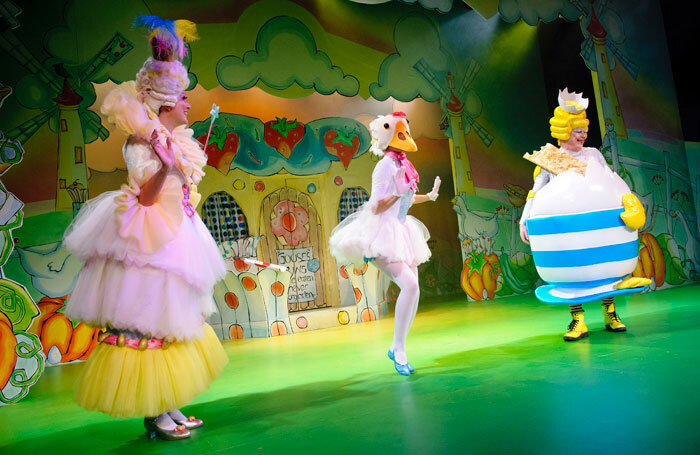 And playing Priscilla (the all-important magical goose) as a cute balletic bird in a tutu wearing an expressionless beaky headpiece is surely a conceptual mistake, even though Nicole Evans (doubling as Colinette, the Principal Girl) does her utmost to give the character plenty of charming goosey movements accompanied by the occasional feathery honk. 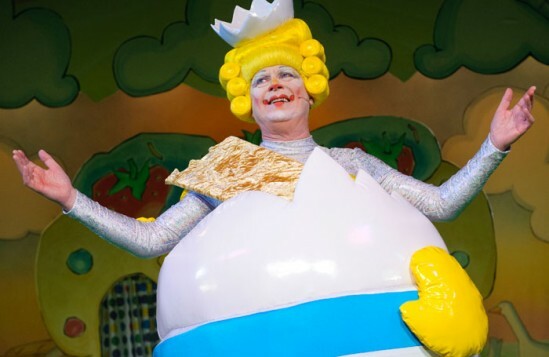 A cast of Coliseum regulars includes Richard J Fletcher making old chestnuts seem funny as Billy Goose, Simeon Truby playing both the oddball tram-spotting local Squire and a gargantuan King of Gooseland, and Andonis Anthony generating instant boos as a superbly suave Demon of Discontent. 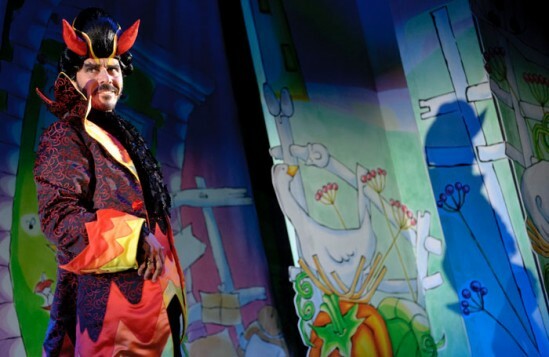 If, as they say, Mother Goose is the Hamlet of dame roles, Fine Time Fontayne easily meets the challenge, as well as filling a series of over-the-top frocks. 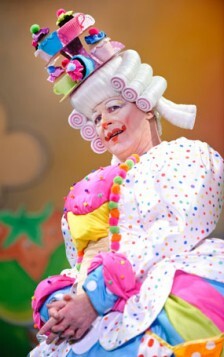 After spending most of this year playing the Fool in Jonathan Miller’s King Lear for Northern Broadsides, Fontayne ends it seeming totally at ease fooling around with the audience in a series of funny frock follies, transitioning from raucous old harridan to feeling pretty (yet looking suspiciously like a big-bottomed Ann Widdecombe) and eventually ending up as a superwoman glamazon. 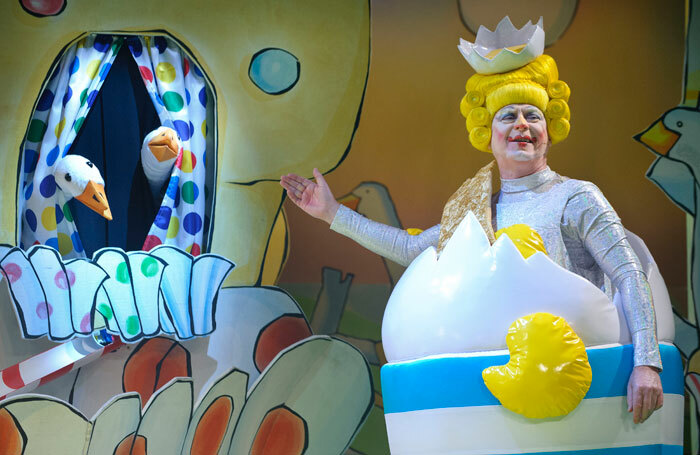 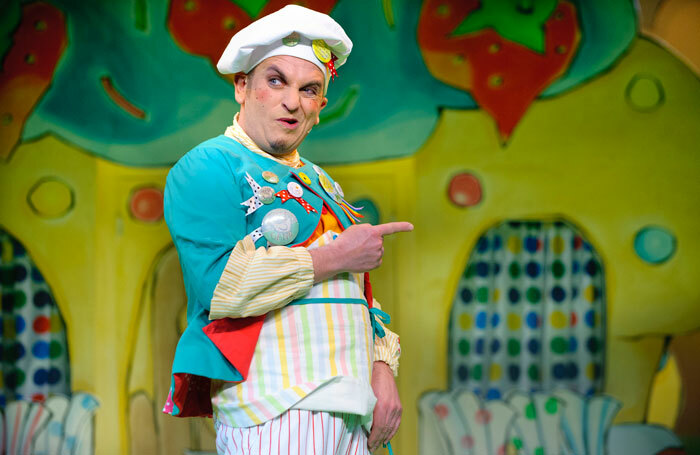 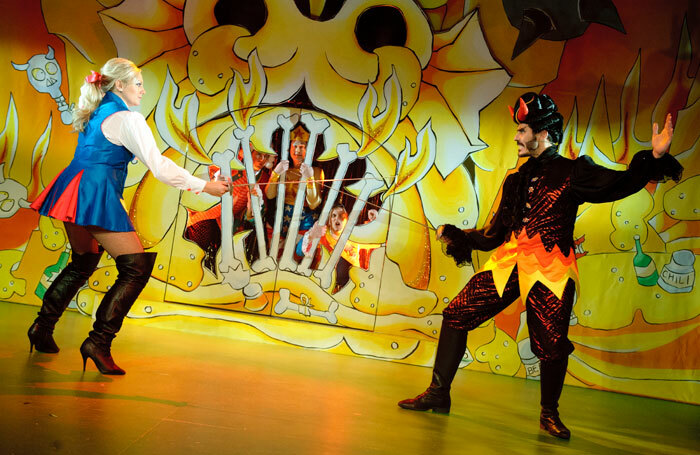 Overall, the show might feel over-egged, especially in the song department, but Fontayne’s fine comic timing and fantastic finery keeps the seasonal warmth on permanent simmer and, more importantly, rooted very firmly in the perennial loud and loony ‘behind you’ tradition.